The last person to live in the Selma Mansion died in the mid-1980s. Ruth Fornance’s passing marked the first vacancy in the Norristown estate since its construction in 1794. Some claim she never really left. Lisa Terrio feels the presence of Mrs. Fornance, as she calls her, often. 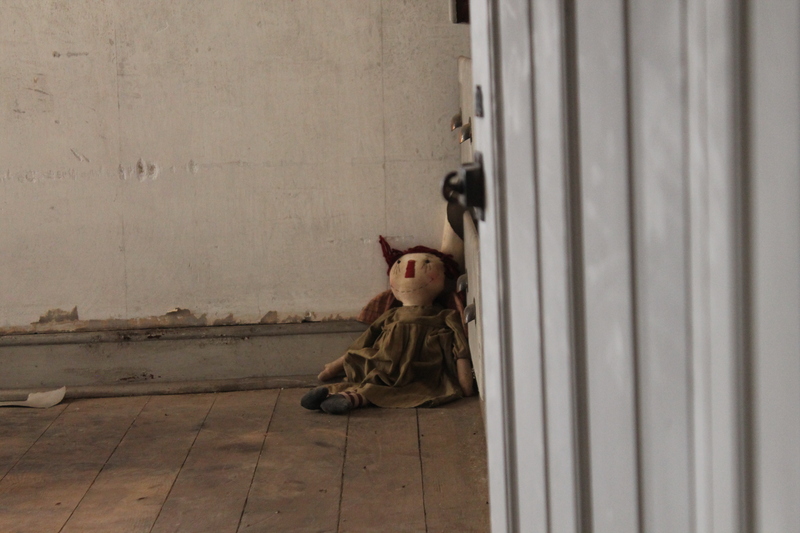 She once spent eight days alone there, stripping the floor and straightening up other parts of the house. 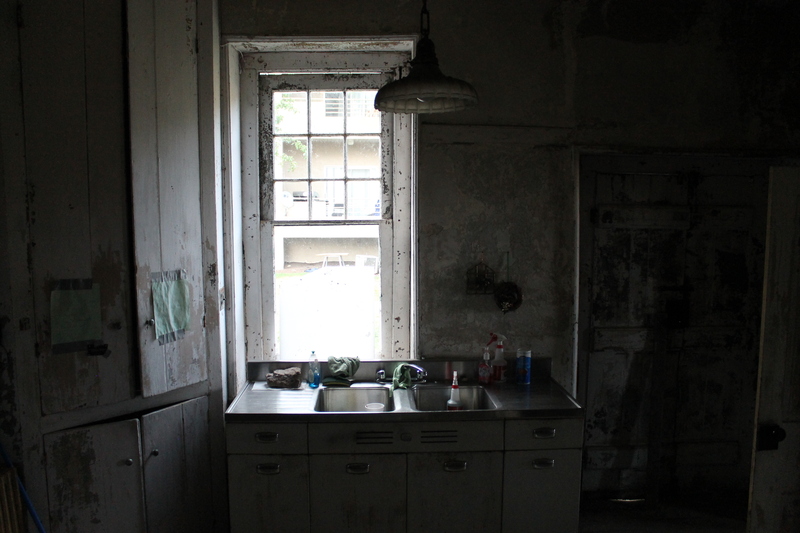 Photos by Matt Schickling / The kitchen of the Selma Mansion. “I stood up when I was done, and a woman in my ear said, ‘It shines!’ I froze. It wasn’t coming from anywhere, but it was right in my ear,” she said. Maryann Buser said she met Mrs. Fornance during a Halloween event at the house. She was dressed for a living history performance and wandered to the second floor. “I like the feathers. I like the hat,” she heard a woman’s voice say. She thought somebody was teasing her, but no one else was on the floor. Haunted is probably the wrong word to describe these experiences. Terrio and Buser prefer to use the phrase “spiritually active,” because, by all accounts, Mrs. Fornance is exceptionally friendly. In other instances, people have felt a woman lurking over their shoulders. Others have been overwhelmed by the aroma of roses, especially men. Apparently, Mrs. Fornance has a special interest in men, and there are many unproven theories on the reasons for that. But according to Terrio and Buser, who are members of Pennsylvania Underground Paranormal Society, she’s not alone in there. A lot of people have lived and died in the home over the last 200 years. The Selma Mansion was built by General Andrew Porter, who served in the American Revolutionary War. In 1821, the property was sold to Andrew Knox then passed to Thomas Knox, his son, and finally to Joseph Fornance, husband of Ellen, the sole surviving daughter of Knox. It remained in that family until people stopped living there. Usually, it’s easy to dismiss claims of paranormal activity, but Terrio and Buser were not the only ones experiencing these things. Some have claimed to see the shadows of a man pacing outside General Porter’s study. Others have seen a woman in a white dress standing by the window of Mrs. Fornance’s second-floor room. A few have reported a man standing beneath the stairs in the basement. There are dozens of encounters Terrio and Buser can share. Noises have been more common. On the third floor, where the children’s rooms were located, people have heard the shuffling of feet along the floor boards. Knocks, voices, footsteps, grumbling, shouts—they’ve all been heard here. 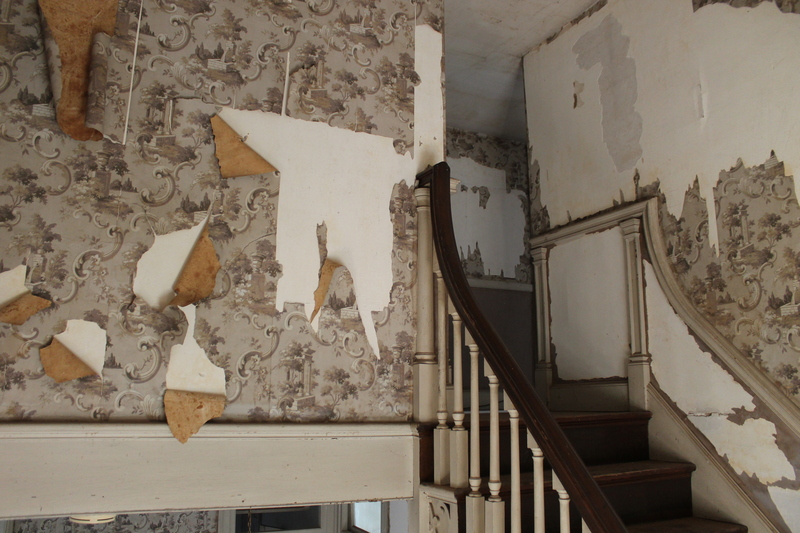 Wallpaper left tattered along the second-floor stairway. Standing in the rooms, with their tattered wallpaper, dated furniture, colonial design and odd sense of comfort, it’s easy to admit, objectively, that the Selma Mansion is beautiful. It’s also easy to forget that you don’t believe in ghosts, and each turned corner that doesn’t reveal an axe murderer is more suspenseful than the last. There’s nothing yet that could prove the existence of ghosts, but those involved in paranormal studies quickly become believers. Terrio and Buser call themselves “believing skeptics,” but after spending a few hours with them, it’s clear they lean more to the believing side. The same goes for Mark Keyes, director of the Pennsylvania Paranormal Association. He works with a group that investigates the causes of alleged paranormal experiences. In the paranormal realm, he said, there are typically three types of groups: Ghost hunters, who look to experience and document “hauntings;” scientific teams, which use monitoring equipment to document changes in the environment that would signify a presence; and resolution-based teams, which do both technical and historical investigations. His group falls into the third category. They don’t do it for publicity. They won’t even reveal the locations they investigate because, for the most part, they are private residences. Most of the things they do are fairly predictable, but others fall into a more metaphysical realm. Among those who believe in ghosts, a common belief is that humans carry their freedom of choice into the afterlife. For example, if someone who is religious commits a crime before death and is afraid to face the judgment of heaven or hell, they could hang around Earth as a measure of avoidance. Another explanation is that the person was either intoxicated at death or killed without knowing, whether it be because of psychological impairments or a surprise death. They don’t know they’re dead and don’t know how to move on. In these cases, Keyes said, involving a medium would be important to releasing the spirit. A child’s toy left behind. Sometimes visitors hear footsteps in this bedroom. There are a myriad of others, and that’s what those who believe try to figure out. As for the skeptics, Keyes said many have trouble remaining skeptics. It’s like being in the basement of the Selma Mansion. Other people claim to see the man. You might see nothing, but feeling something is just as terrifying, even if it’s the imagination running wild. Still, it seems believable that someone would want to hang around the mansion. It’s enormous, empty, quiet. 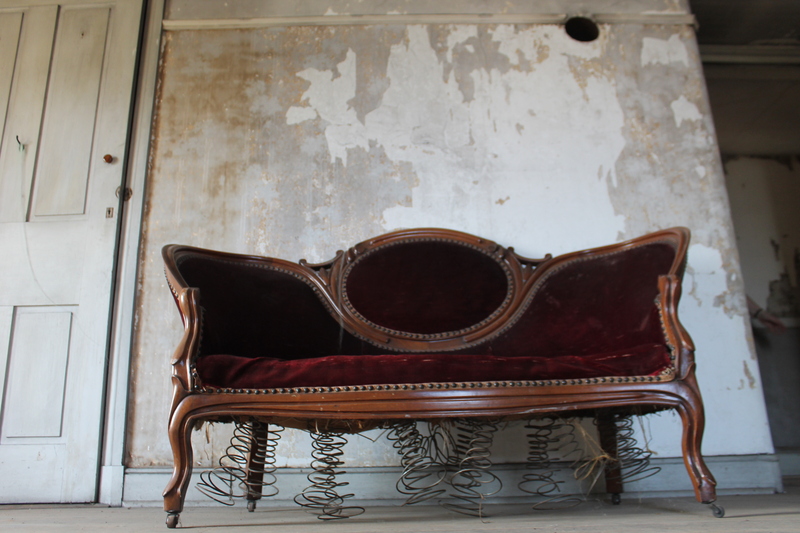 It has a charming austerity that is disturbed only by the campy Halloween decorations around the house from the previous year’s event ― a rubber, sawed-off arm here, a plush spider there. Elsewhere in the Selma Mansion, what’s real and what isn’t is harder to distinguish. For information and events, visit www.pupsteam.org.